Welcome to the RU COOL satellite data image archive! On this web site you will find all of the available satellite data products we offer to research, industry, education and the general public. 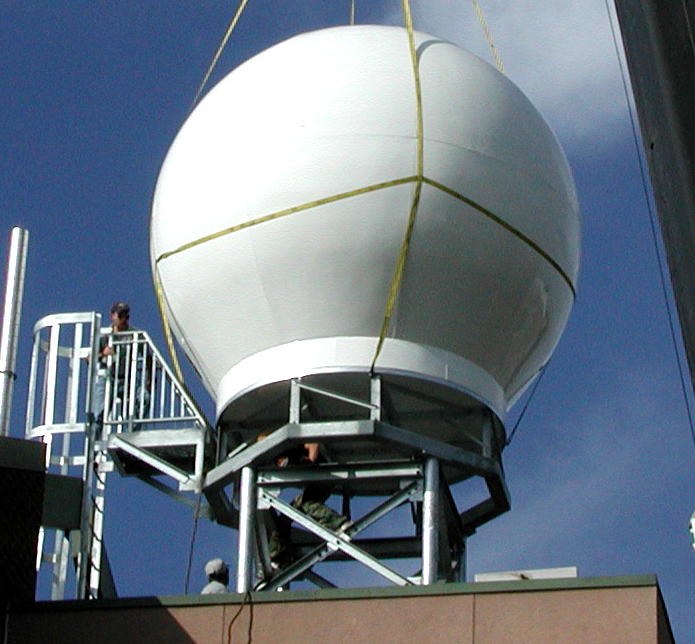 Satellite data are collected with SeaSpace L-Band and X-Band satellite dishes, both of which are on the top of the Institute of Marine and Coastal Sciences building on Cook Campus within the New Brunswick Campus of Rutgers, The State University of New Jersey. 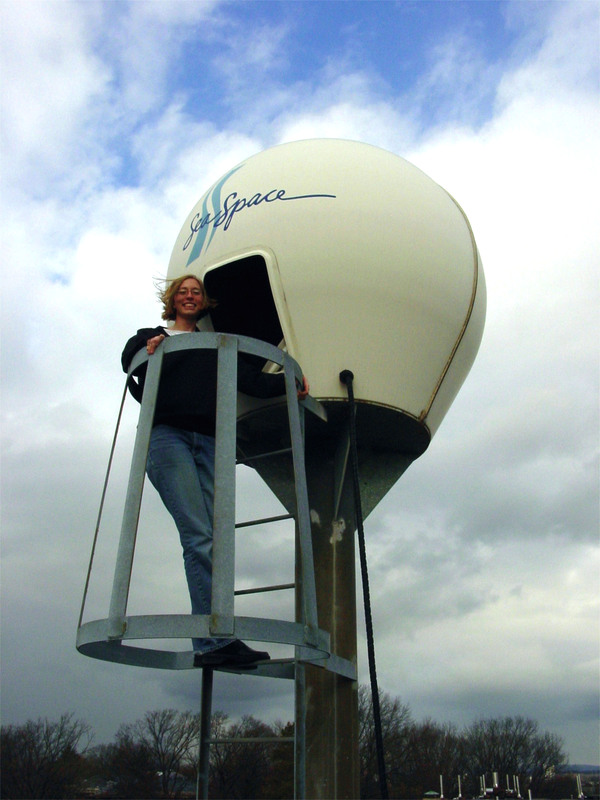 Our L-Band dish (left) was installed in the Fall of 1992 and collects AVHRR data from three of NOAA's POES satellites and China's FY1-D satellite. The X-Band dish (right) was installed in the Fall of 2003 and collects MODIS data from NASA's Aqua and Terra satellites, as well as ocean color data from India's Oceansat satellite. 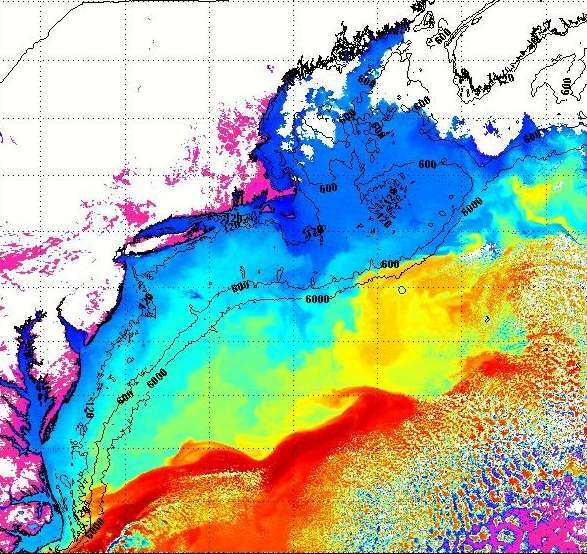 Data are processed to into various products (i.e., sea surface temperature, ocean color, etc.) and then converted jpeg images are made for easy downloading and viewing. There are detailed product descriptions on each product page. Sea Surface Temperature is our largest image library, with imagery reaching back to 1993. Chlorophyll Concentration imagery goes back to 2001. Our other image archives begin in 2004. On this main front page of our web site we will periodically post notes to our users regarding either the status of a particular product, or news regarding neat things going on with RUCOOL. If you have questions or comments we would love to hear from you! Please contact us: Contact Form .